Neverending fun is guaranteed with our Motocross Games! 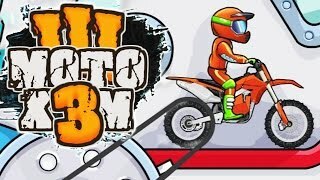 The best motocross free games are waiting for you at Miniplay, so 3... 2... 1... play! Start your engine and make sure to step on the gas to really experience this racing game! Put your courage to test on a motorbike and complete all sorts of challenges in order to unlock achievements along 20 action-packed stages. Enjoy this sequel and the new stages! Put your bike-riding skills to test in this 3D game. Reach the goal doing all kinds of tricks! Prove your skills on a motocross bike and do the most amazing stunts! Try not to fall – it's game over. 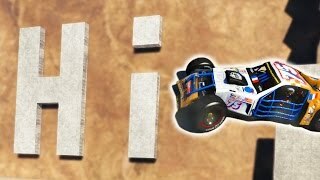 Enjoy this wonderful trial game, now with improved physics and environments. Complete all the stages in as little time as possible while doing amazing tricks on your bike. Try not to lose your balance! Speed up on your bike and get the highest score by dodging all the obstacles. Make sure to reach these crazy squirrels if you want even more points! Start your trial bike and do the most impressive stunt in your life. You're going to die, but you'll keep it stylish! This is the final jump! New levels available! Ride these powerful supercross bikes again and get the points needed to beat the challenges. Jump over the obstacles while you perform the most incredible stunts, and customize your bike spending the money you earn! The bravest pumpkin rider is back for Halloween. 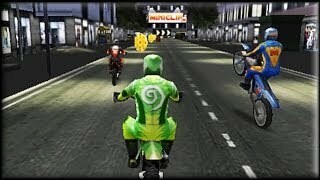 Perform incredible stunts on his bike and beat every track. Beat every track on your trial bike! Winning will provide you with money to invest in new and better motorbikes. Race on the hills on your trial bike. Feel the adrenaline in your veins while dodging obstacles and performing amazing stunts. 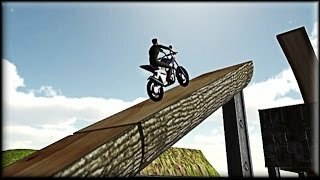 Go through ten awesome tracks on your trial bike and perform incredible stunts. Get all the badges! Start your motorbike and jump from the ramps to dodge the obstacles. Score the points you need to beat each level by performing great stunts. Make way with your motorbike along these tracks. Upgrade your bike and buy nitro and new rims to beat each level. Help Mario once more! 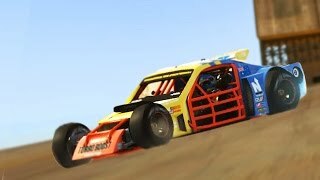 Drive along a canyon and perform stunts with his trial bike. Jessica is a beautiful girl who loves extreme sports her favorite is motorbike racing! You can either try to copy her style or create your own. You can even change her bike! Homer has bought a motorbike to go for a walk around Springfield. What's the problem? We know he isn't too skillful help him ride the bike and tackle the obstacles. Remember he loves Duff beer pick it up! 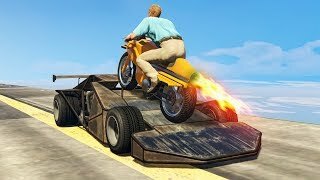 Ride a trial motorbike ready for the most insane jumps, collect all the coins you find on your way and perform incredible stunts. Help this stuntman jump from the ramps while he performs incredible tricks on a trial bike. Unlock new stunts to surprise your audience! Get the highest score and enter the ranking. Perform incredible jumps and tricks on your motorbike on these four tracks. Become a motocross legend! New levels available! Win on every American trial track on your motorbike. Tackle the obstacles, perform tricks and get the highest score to enter the ranking. Ride this trial motorcycle and make progress along the tracks by climbing on military vehicles such as tanks, helicopters and planes. In this fascinating game you can choose between a bike, a mini car, a helicoper, a police car or a truck. 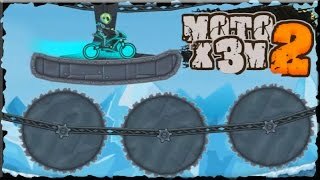 Try to do the best stunts on your motocross in fifteen different levels. Choose the bike you prefer for each track. Become a motocross legend! 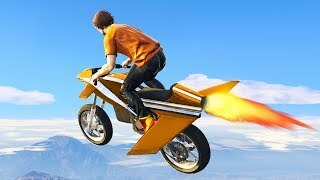 Beat every stage doing incredible jumps and stunts. Ride your trial motorcycle and finish the ten tracks by climbing a mountain. Read the instructions before your start playing in order to learn the tricks you can do. A mouse is riding a motorbike around your kitchen! Tackle the obstacles on the countertop and do all kinds of tricks. This trial motorcycle game has been a huge success, so new tracks have been added. 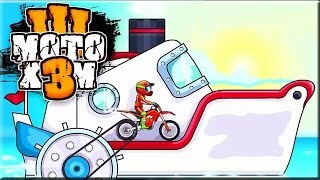 Ride your bike and complete the tracks doing incredible stunts. Start your motorbike and be as agile as a ninja. Collect the bonuses and press keys 1-4 to do acrobatics and get extra nitro. Ride your trial motorcycle and complete every track in as little time as possible. Prove you're the best by doing all kinds of tricks. Start your trial motorcycle and race through the Great Canyon! Reach the pirate flag to unlock the next level. 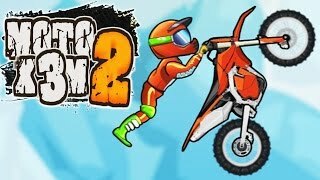 In this great motocross game you'll have to tackle all the obstacles while you do tricks on your bike. There are 30 different tracks! Go across the Mushroom Kingdom on a motorbike, collect stars and exchange them for new accessories for your bike. Go around the streets on your trial motorcycle and tackle the obstacles you find. Obama is late for the G8 summit. Start his bike and help him cross the city and tackle the obstacles in as little time as possible. Tackle all the obstacles you find in the desert on your trial motorcycle. Try to do as many tricks as you can and enjoy! Press the space bar to speed up and do a wheelie for as long as you can. Start this motorbike from the future and tackle the obstacles in as little time as possible. Cross the island on a cross motorcycle and do all kinds of two-wheel tricks. Do you know what kind of vehicles orcs drive? Ride this strange motorbike, do some tricks and run over everything you find in your way.